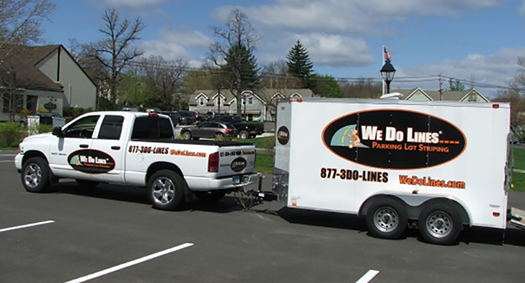 At We Do Lines, we dedicate ourselves to providing the highest quality of parking lot striping and maintenance services. We have locations in numerous states. If you want to ensure that your parking lot lines make it easy for your visitors to drive and park in your lot, we are the company to hire! We can help you create a well-mapped-out plan for your parking lot that allows for enhanced traffic flow, safety, and aesthetics. We can also handle your parking lot maintenance needs, such as asphalt repair, concrete surface repair, seal coating, and more. Contact We Do Lines Today! Do not hesitate to reach out to our team for a full list of our regional parking lot striping and maintenance services. We can also provide you with a complimentary estimate.